Our forums had concocted a theory that either Beyoncé or Rihanna would land this month’s cover, but Vogue threw us a curveball by featuring Kendall Jenner for the third time. The model, who’s currently on the cover of Vogue Korea and the face of Missioni this season, fronts the magazine’s April 2018 edition and, just like her first American Vogue appearance, is captured by photographic duo Mert Alas & Marcus Piggott. 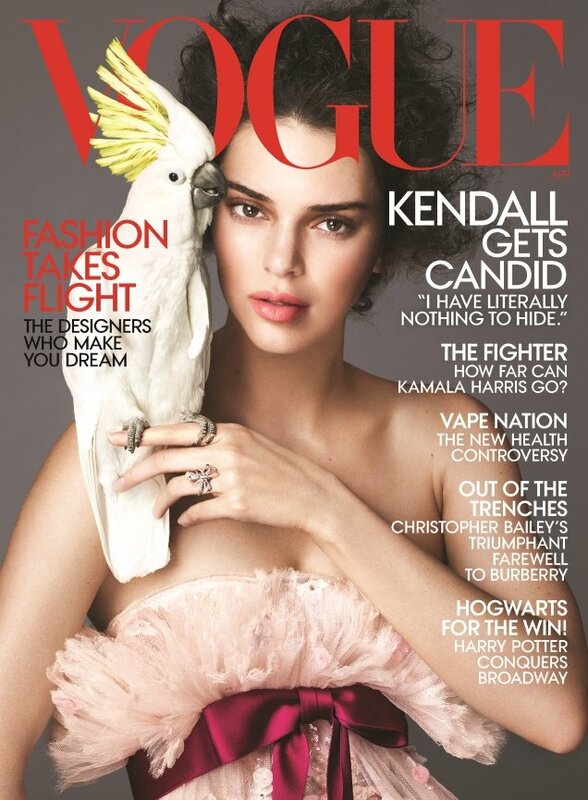 In the soft and romantic cover image (below), Kendall was styled by Tonne Goodman in Chanel Haute Couture — complete with an exotic bird perched on her finger. Apparently, the third time isn’t a charm for some of our forum members. “Oh, come on Anna, just give the cover to Anna Ewers or Grace Elizabeth. How much does it take to have a REAL model on the cover? When was the last one? I can’t even remember,” ranted StockholmFW. “SERIOUSLY? Why, how even!! Are Vogue readers even slightly interested in her? I am so not and it’s not even a good cover, I’ve seen her shot better than this!” slammed Miss Dalloway. “Her again? Can we get rid of Wintour yet? This formula is getting tired,” lelaid wrote. However, not everyone was offended by the outcome. “I know a lot of people won’t like this because it is Kendall Jenner but I think it is a really good cover!” confessed June. “It’s a gorgeous cover, no denying that,” TeeVanity openly admitted. “This is the best cover American Vogue has produced in such a looong time. I love the artistic vibe and Kendall looks different but beautiful,” commented Zposen.